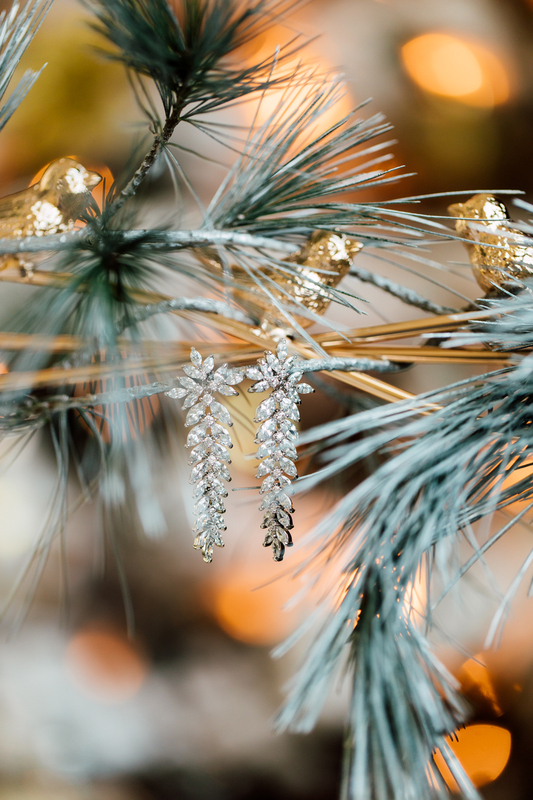 When the winter season begins, we get excited for a lot of reasons, one of them being winter! 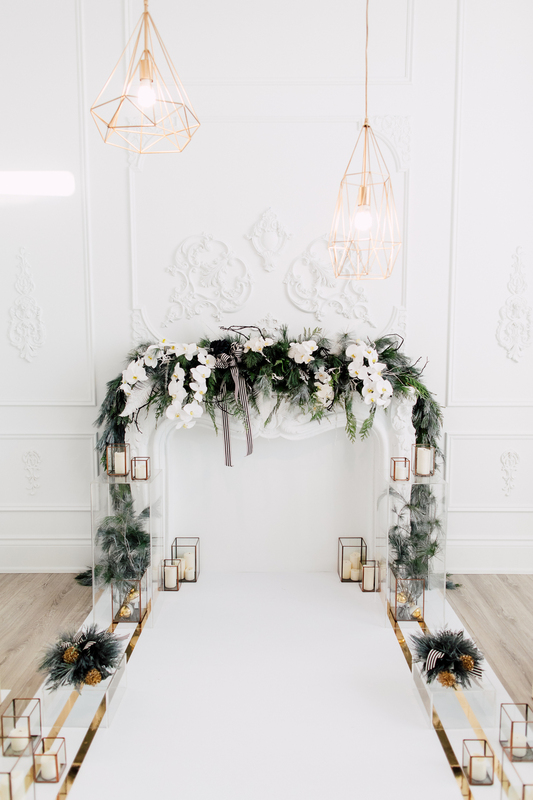 Now that we’re feeling the winter blues, we want to backtrack and share a holiday-themed wedding shoot that happened at our studio. 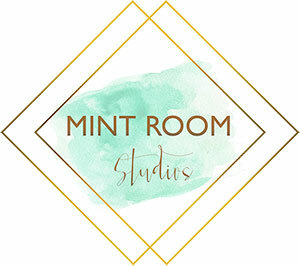 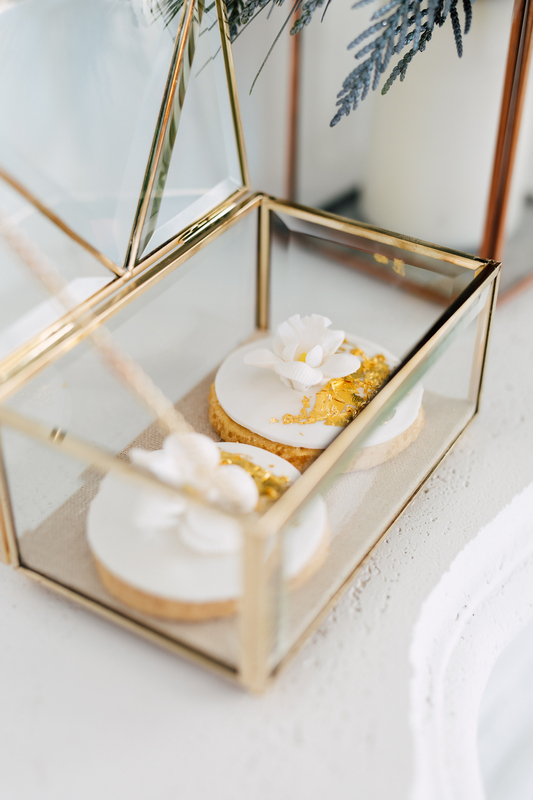 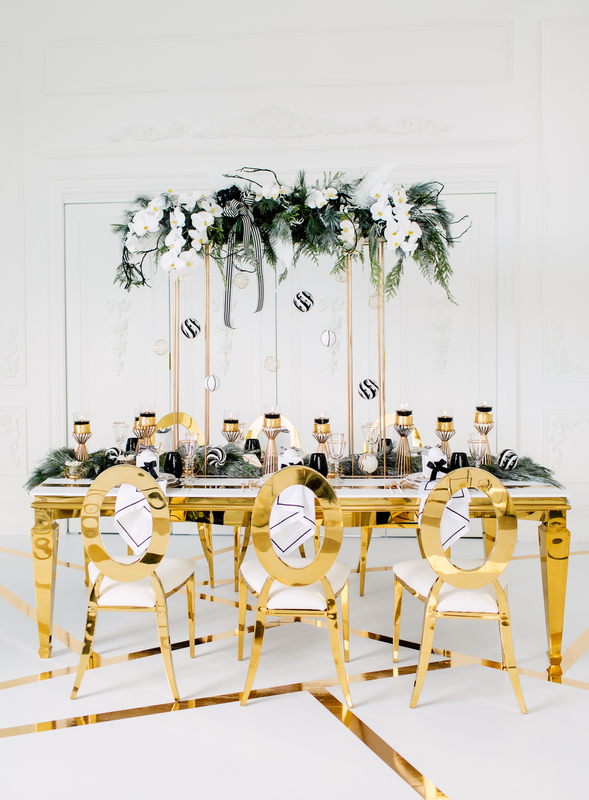 Anya of La Chic Soiree created the concept and recruited a team of wedding vendors to make it happen. 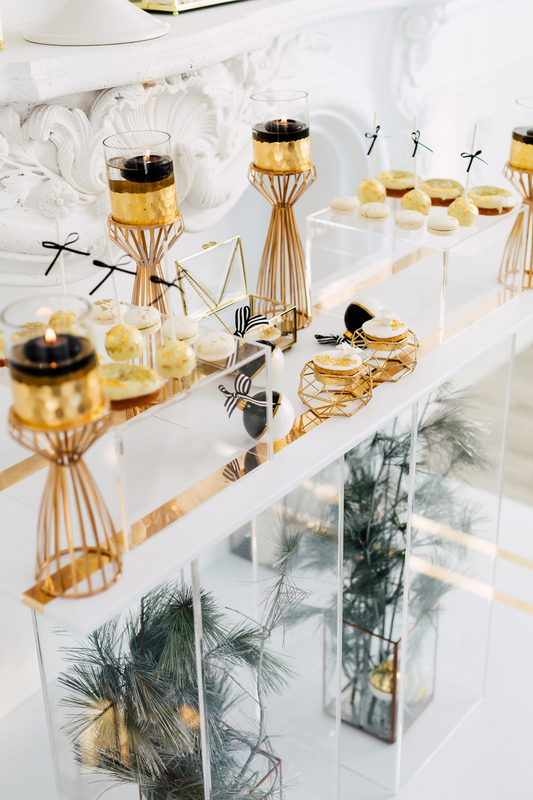 Known for styling weddings with unique elements that will make you go “wow”, we certainly were at awe with the whole set up. 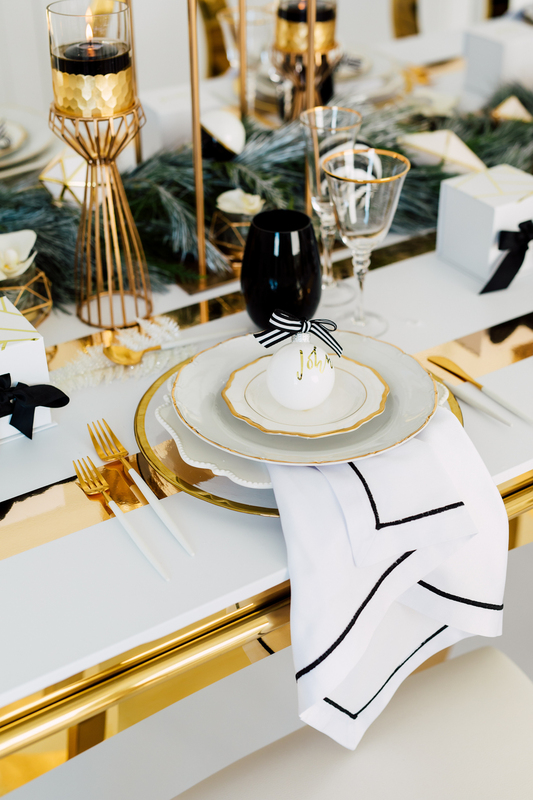 There’s no need to go overboard with the typical winter colours of red and green to achieve the holiday look! 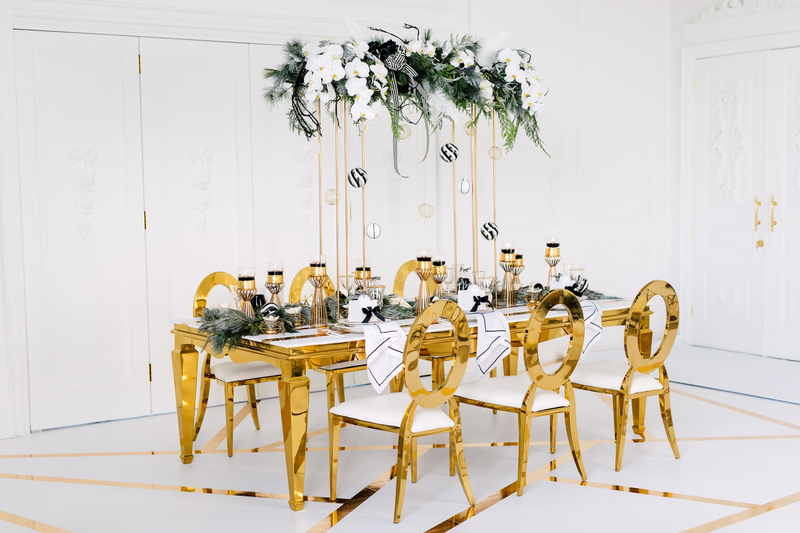 The shoot happened within the white walls of the Ballroom, and they added a white floor design with gold lines by Designer Dance Floors to keep it consistent. 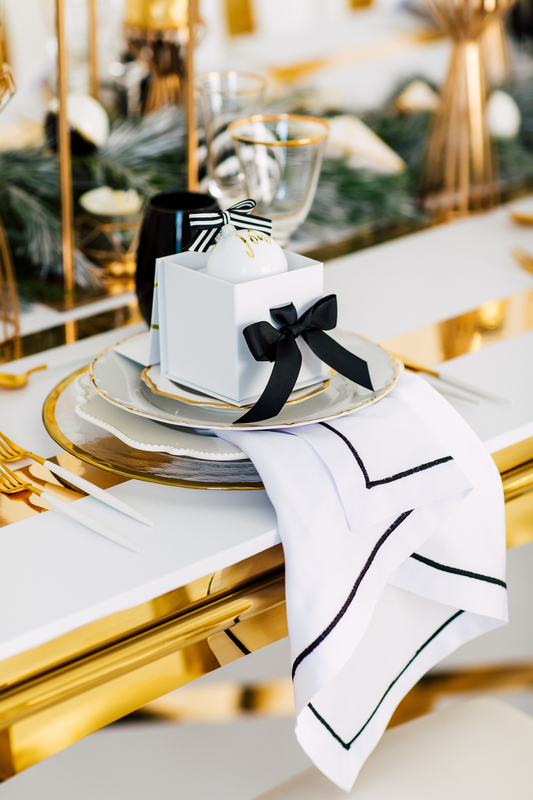 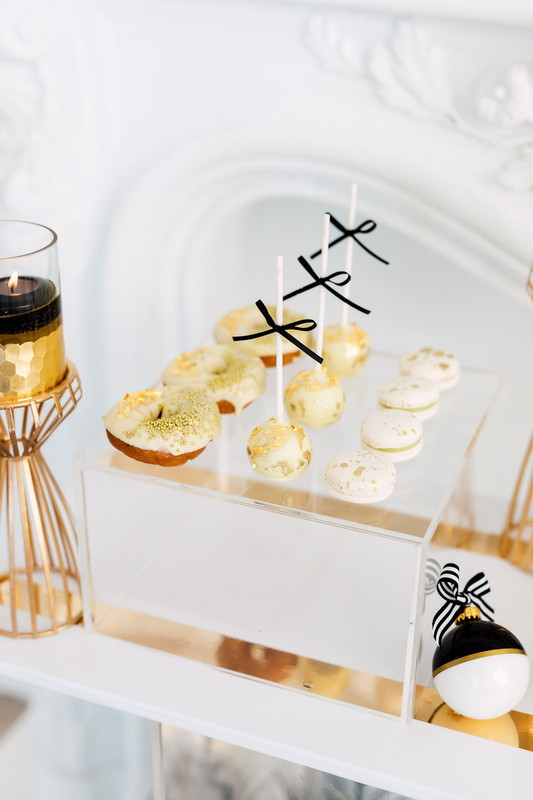 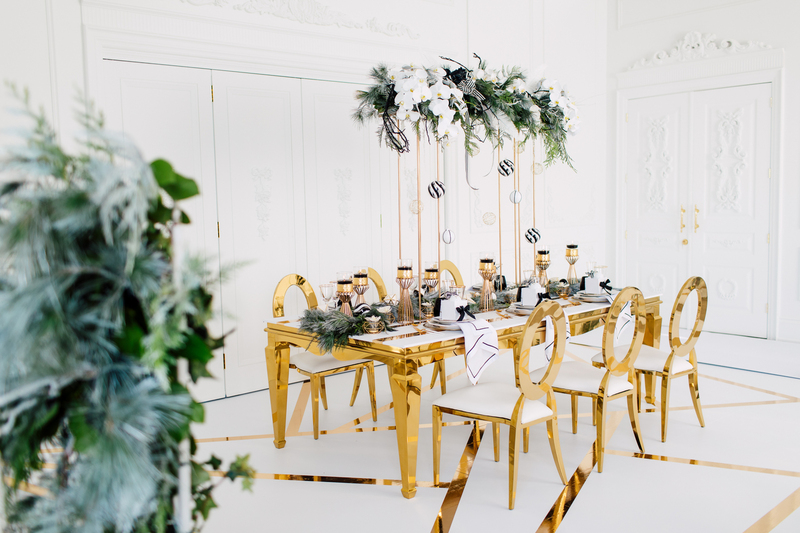 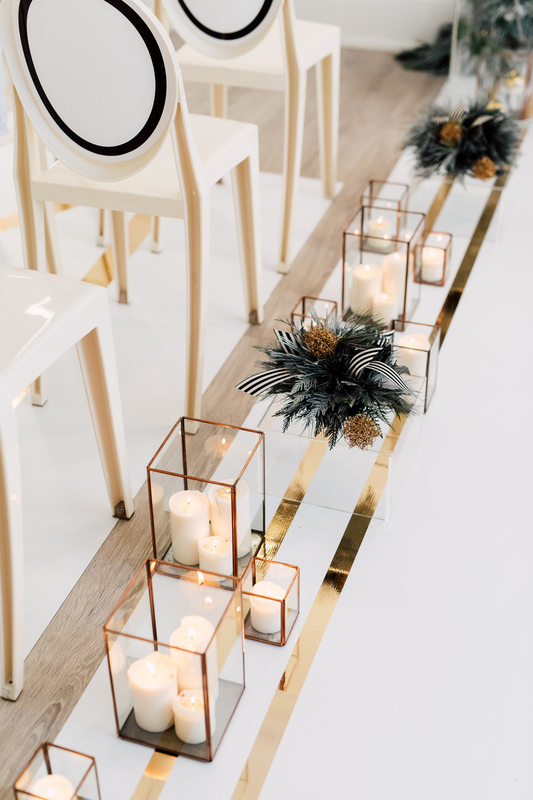 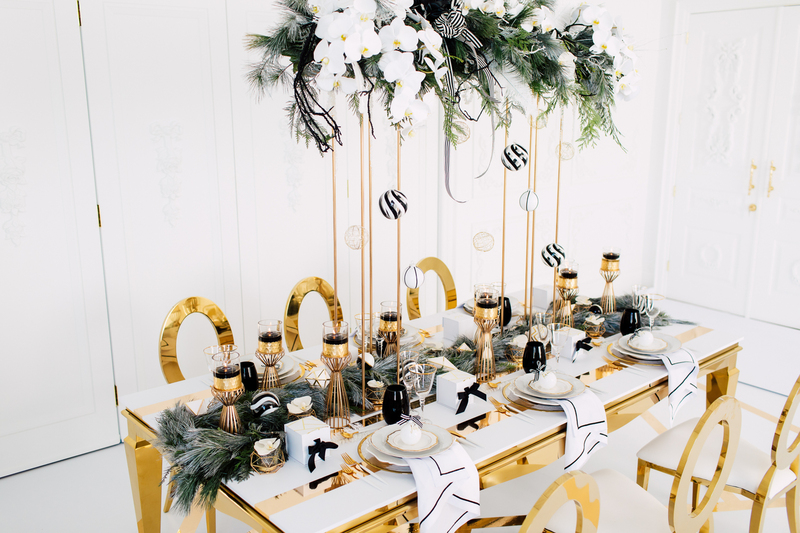 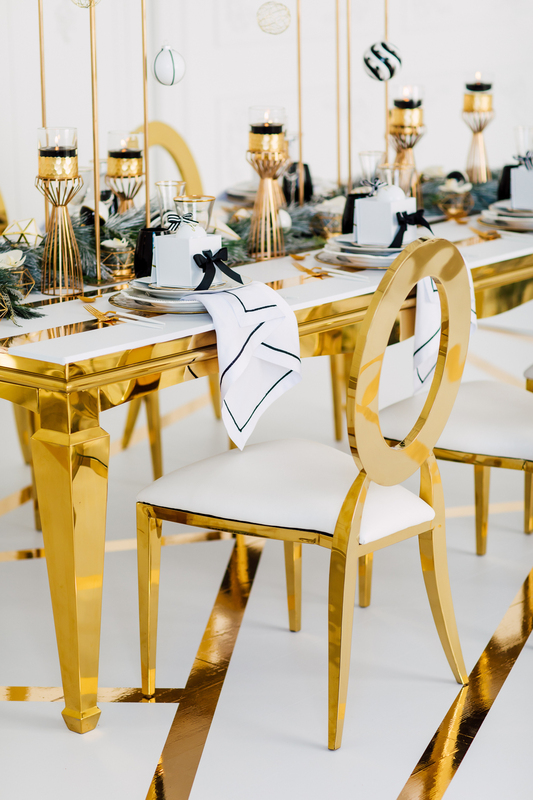 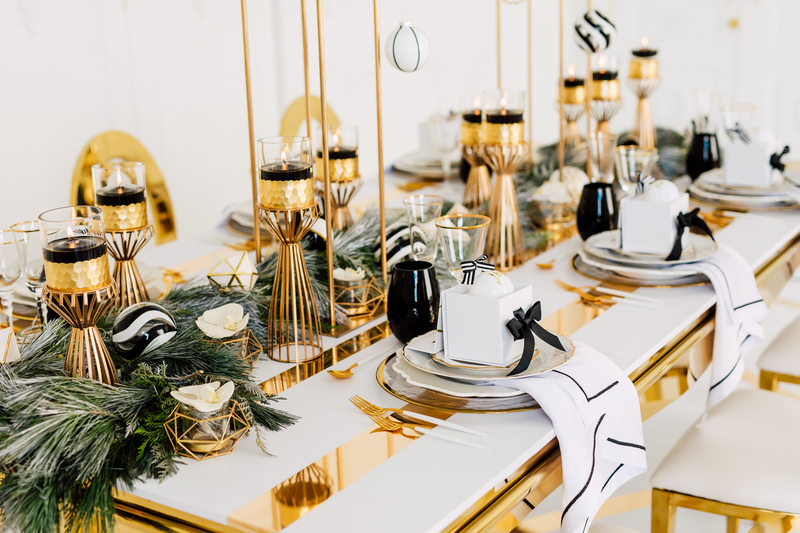 The gold dominated the scene with the chairs, tables, and the candle holders. 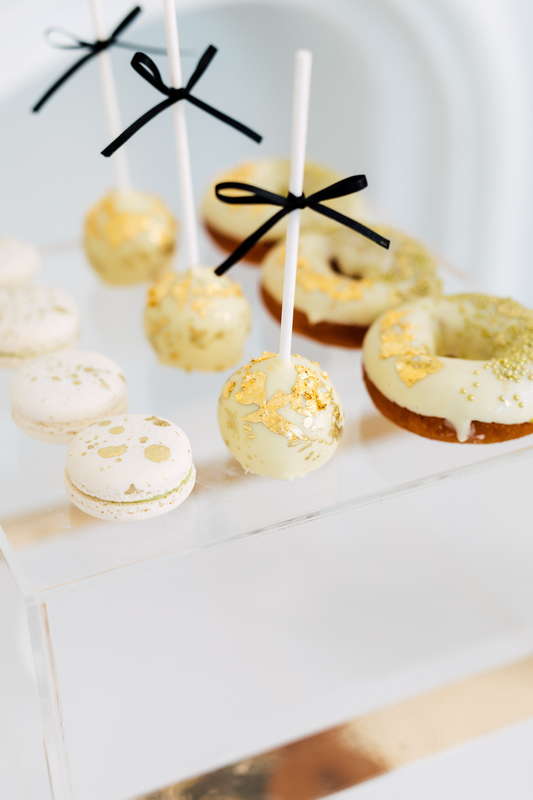 Even the Jimmy Choo shoes were gold, and so were the donuts! 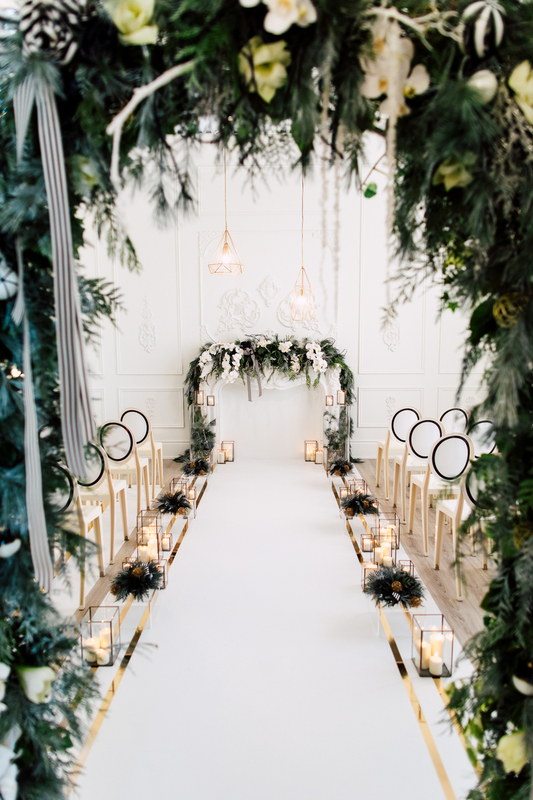 Of course, nothing says winter like the display of pine leaves which made up the tablescape and the wedding arch by Precious Flowers N’Things. 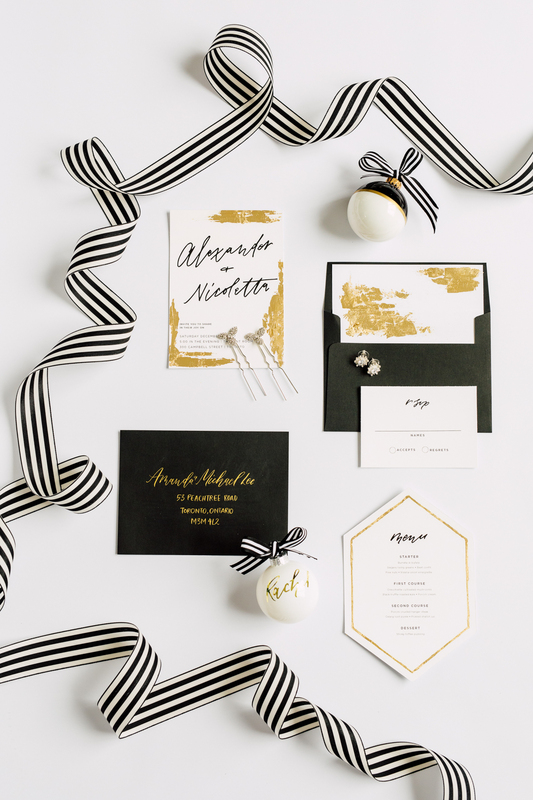 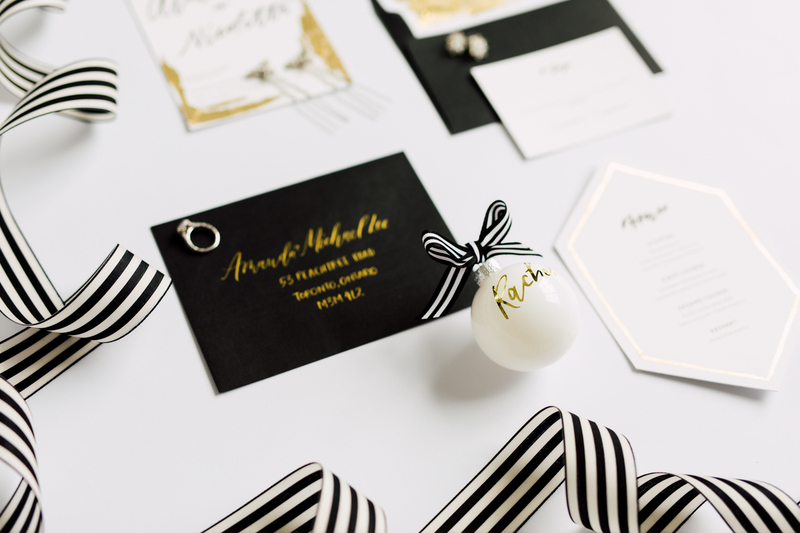 We love the mix of classic black and white stripe pattern along with the modern geometric gold shapes, adding dimension to the setting. 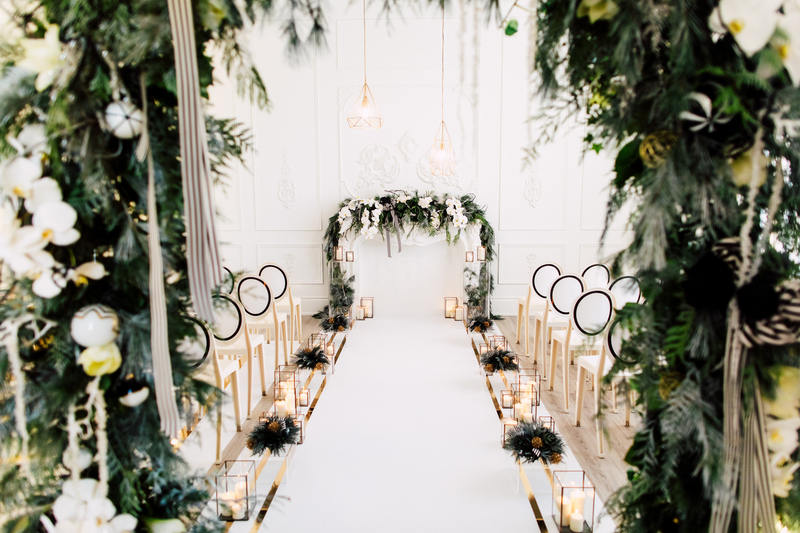 The natural light illuminated the room through the oversized windows with no problem. 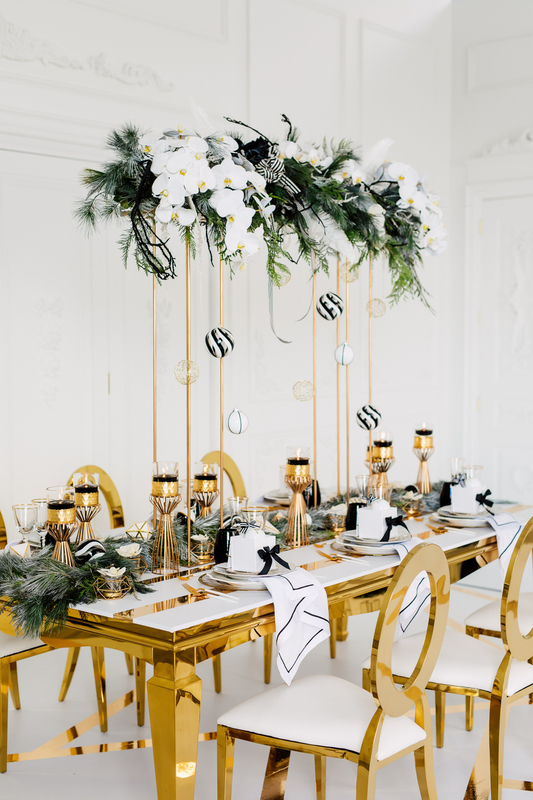 We know how long these shoots can take, and with windows facing south and east, this room has no problem keeping it bright throughout the day. 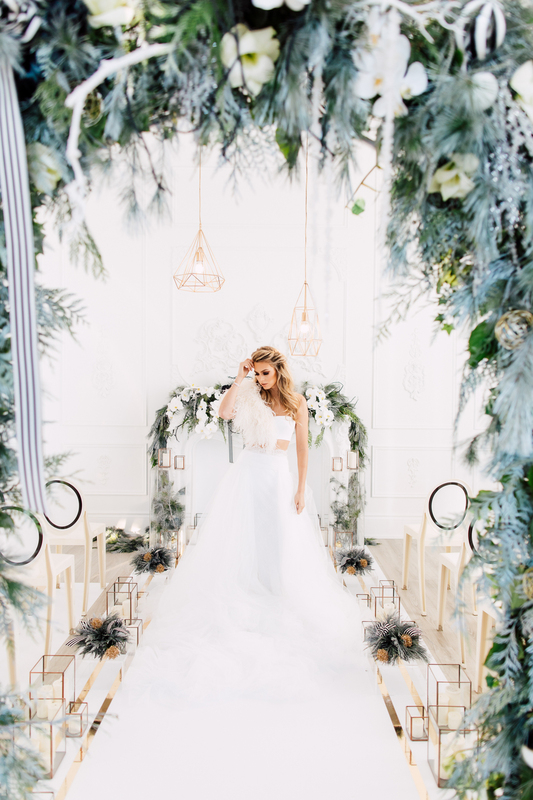 What we love about the Ballroom and the Conservatory is the intricate moldings on the wall and the fireplace, which so far has worked so well with the elegant and romantic shoots like this! 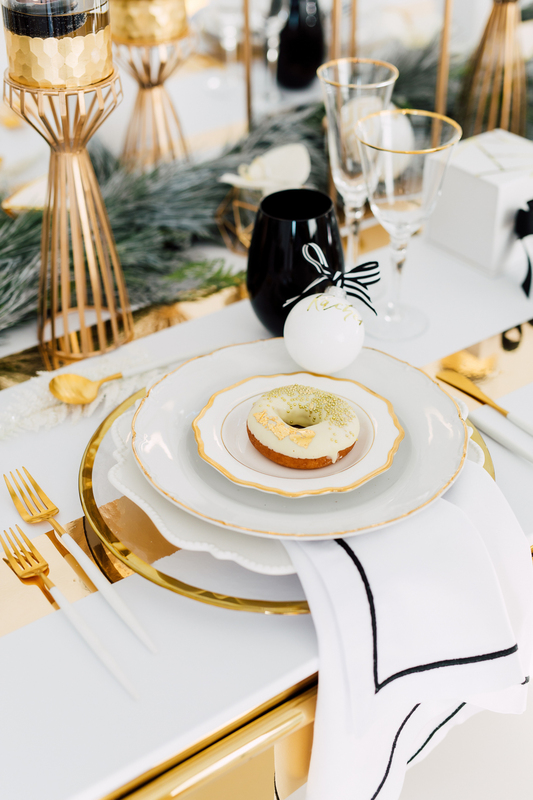 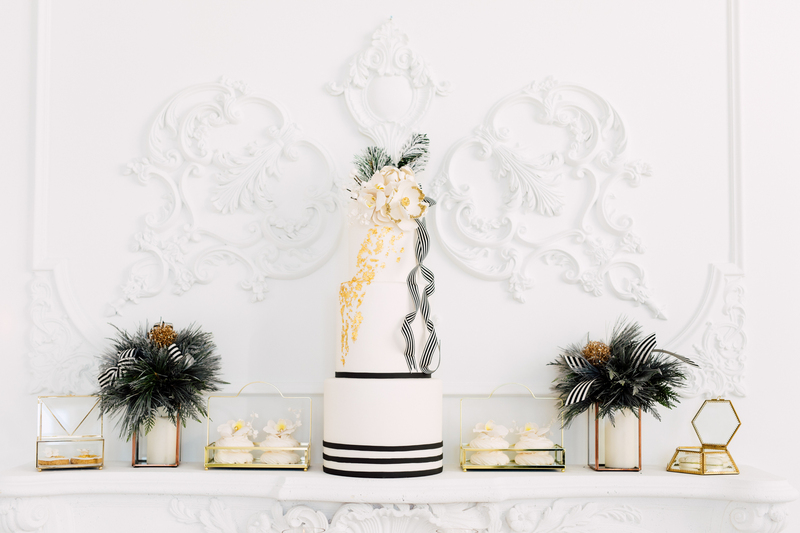 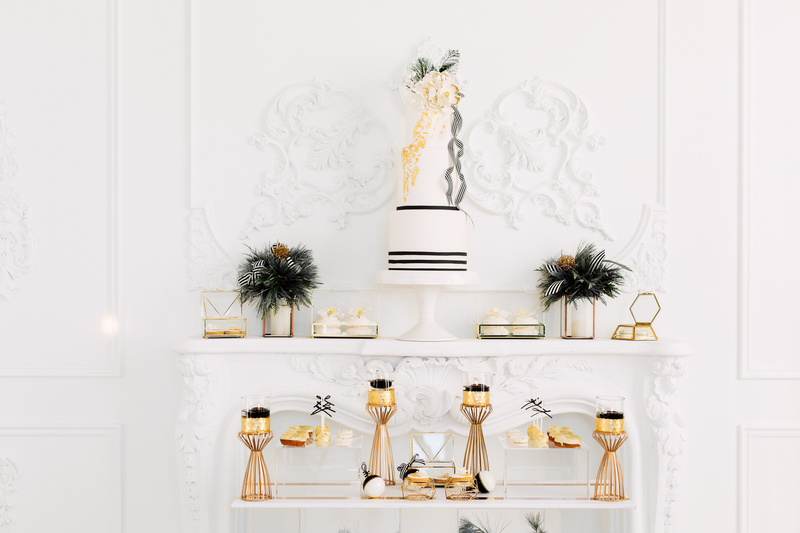 Wedluxe featured this shoot on their blog over the holidays! 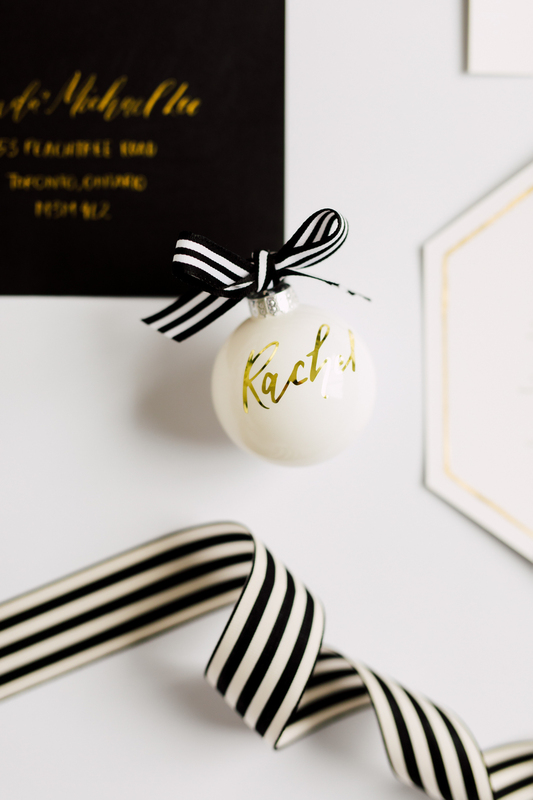 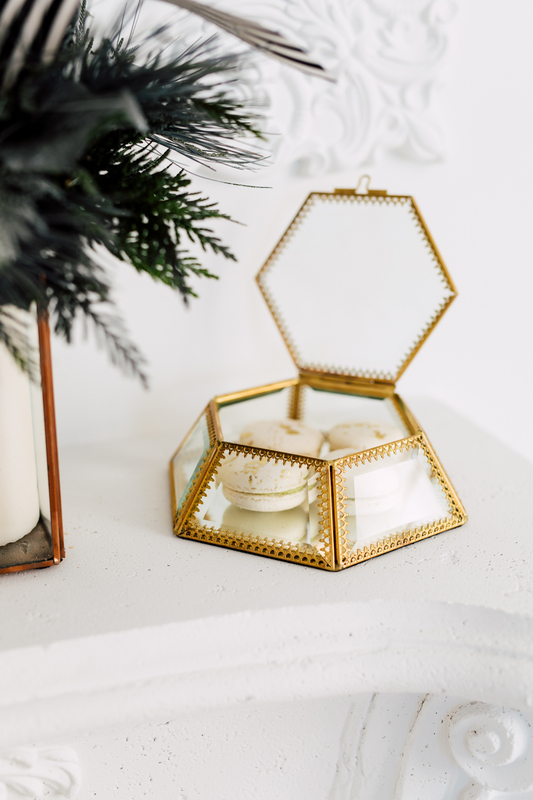 ORNAMENTS AND WHITE GIFT BOXES: Whitebox & Co.